In April 2019, the California Department of Transportation (Caltrans) will begin construction of the US 101 Ramp Metering Project in Marin County in Cities of Sausalito, Mill Valley, Corte Madera and Larkspur. For more detailed information on the project including the description, the proposed work and details on what you should expect, including information on ramp closures and temporary detours, please click here. The presentation will be held on Wednesday, April 17th from 11AM to 12:30PM at the Corte Madera Community Center, 498 Tamalpais Drive, Corte Madera. The facilitator for the presentation will be Chloe Cook from the Marin County Aging and Adult Services. The event will be held on Wednesday, April 17, 2019 from 7-8PM at the Corte Madera Library, 707 Meadowsweet Drive. Call 415-924-6382 for more information. To learn about the Marin Poetry Center, click here. Central Marin Police Authority and Central Marin Fire Department invite you for Coffee with a Cop & Firefighter on Thursday, April 18th, 10-11AM at Cafe Verde, 502 Tamalpais Dr. in Corte Madera. Stop by for some great coffee and conversation! (great pastries too). To view and share the event flyer, click here. Grab your flashlight and basket and join us at Piper Park for our fourth annual Flashlight Egg Hunt! Eggs stuffed with goodies will be spread across a section of the park. When the timer goes off, the search begins! The hunt begins at 8:30PM sharp - don't be late! Registration is not necessary. This event is free to the community. There is a separate area for kids age 6 and under. ARE YOU SIGNED UP for one of the upcoming, Certified Comprehensive First Aid Trainings (CCFA)??? The training is FREE, yes, FREE to Corte Madera residents. In our continuing commitment to emergency preparedness, the Town of Corte Madera is sponsoring training classes for community members. This is one of the many ongoing efforts Town-wide to build community awareness, preparation and resilience. Individuals age 18 or older ONLY (we will not be able to accept anyone under the age of 18. If you are under age 18 and have already been registered by Lorena Barrera, please disregard this part of the message), may sign-up by sending your full name and home address via email to Lorena Barrera at lbarrera@tcmmail.org or by calling 415-927-5086. Early enrollment is highly encouraged. You will not be able to participate if you are not enrolled. All classes will be held at the Corte Madera Community Center, 498 Tamalpais Drive, Corte Madera, and begin promptly at the specified time. Your skilled efforts can potentially save a life or prevent a disability. Giving you the skill sets will remove the fear and hesitation to act quickly and appropriately. Thank you for your commitment to our Town’s safety. Click here to view the flyer on these classes. Make sure to share the flyer with everyone you know. 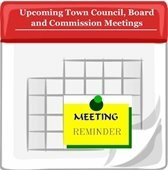 Interested in joining a Town Board or Commission? 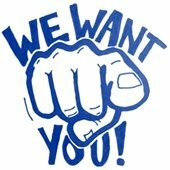 Want to be a part of a group of individuals who make recommendations to our Town Council? The Corte Madera Town Council is requesting applications from Corte Madera citizens who may be interested in serving on the Town’s Planning Commission, Parks and Recreation Commission, Flood Control Board, Sales Tax Citizens’ Oversight Committee and Representative to the Marin/Sonoma Mosquito and Vector Abatement District. With few exceptions, all Corte Madera residents who are registered voters of the Town are eligible to apply for appointment. The Planning Commission is a vital component of our community. It is a five member body to oversee the Town’s planning process. Currently the two-year terms of two (2) Commissioners will expire on June 30, 2019. Much of the Commission’s time is devoted to reviewing permit applications for home remodels and additions. The Commission works to balance the needs of individual families for more living space with the need to protect neighborhood character. The Planning Commission also works on longer range issues. The Commission meets on the 2nd and 4th Tuesday of each month at 7:00 p.m., with occasional study sessions scheduled as needed. The Parks and Recreation Commission is an advisory board that recommends policy and procedures for parks and recreational facilities, recreation programs, park development and park maintenance. The two-year terms of four (4) Commissioners are expiring on June 30, 2019. Meetings are held on the 4th Monday of each month at 6:30 p.m. The Flood Control Board advises the Town Council on all matters affecting flooding in Corte Madera. Examples of duties of the board are to review and report on the flooding impact of current and proposed flood control and storm drain projects, and to review and report on flood management plans in order to define what actions are necessary to reduce flood conditions in the Town. The two-year terms of three (3) Board members are expiring on June 30, 2019. Meetings are held bi-monthly on the 2nd Monday of each even month at 6:30 p.m.
Town of Corte Madera Representative to the Marin/Sonoma Mosquito & Vector Abatement District (2-year term, currently vacant) The main purpose of the Board of Trustees of the MSMVCD is to organize and carry out an effective mosquito and vector control program and to develop a budget adequate to staff and support the program. This seat is currently vacant and preference for the appointment will be given to a person with strong interest in the prevention, elimination or control of mosquitoes and other arthropods known to be potential carriers of infectious diseases, or presenting a public nuisance. The Board of Trustees meets on the second Wednesday of the month at 7:00 p.m. at District Headquarters, 595 Helman Lane, Cotati, CA. If you are interested in serving on one or more commissions or boards, you may obtain an application from Town Offices at 300 Tamalpais Drive, Corte Madera, CA 94925 between the hours of 8a.m.-12:00p.m. and 1:00p.m.-4:00p.m., on the website at http://townofcortemadera.org/494/Commission-or-Committee-Appointment, by calling 415-927-5085 or via email at rvaughn@tcmmail.org. PLEASE SUBMIT YOUR APPLICATIONS BY 4:00pm ON FRIDAY, APRIL 26, 2019. Completed applications may be sent via email to rvaughn@tcmmail.org or mailed/delivered to Town Hall (300 Tamalpais Dr., Corte Madera, CA 94925). Click here to view the official public notice. Zero Waste Marin invites you to a FREE seminar at the Point Reyes Library. If you are interested in learning about Recycling and Worm Composting, this is the right event for you. Do you wonder why some items are not wanted in the recycling bin? Are you confused about plastic recycling? Curious about worm composting? If so, attend this free event and learn how all of these are related. Discover how this knowledge makes you an informed and empowered citizen in your community. Proper recycling and keeping organic materials onsite, as mulch and homemade compost, are some of the most important practices you can do for our environment. This seminar will be held on Saturday, April 27th from 10:30AM to 12:30PM at the Point Reyes Library, 11435 CA-1, Point Reyes Station, CA 94956. To register for email todd@wastesleuth.com or text 925-787-8913. Attendees will have a chance to win a compost bin, valued at $100. For more information, please click here. The creation of Earth Day on April 22, 1970 marked what many consider to be the birth of the environmental movement. Today it is regarded as the largest civic event in the world. Marin residents have embraced it since the first Earth Day celebrations began. Let's keep up the good work, Marin! Join Marin County Parks to clean up Corte Madera Creek and Hal Brown Park at Creekside; be part of the fun and the Earth Day legacy! RSVP's are appreciated but not required. Questions or to RSVP: Contact Volunteer Coordinator Kirk Schroeder at KSchroeder@marincounty.org or (415) 763-2977. The event will be held on Saturday, April 20th from 9AM to 12PM. Meet across from Marin General Hospital at Hal Brown Park at Creekside. For directions, park entrance information and more, please click here. Please join Marin County's municipalities and fire agencies on Saturday, May 4, 2019 at 10AM at Embassy Suites in San Rafael (101 McInnis Pkwy, San Rafael, CA 94903) for a FREE community presentation and panel discussion on wildfire preparedness, with an introduction to important new efforts that will help make Marin more wildfire resilient. There will be tables and booths representing a variety of stakeholders, contractors, and agency representatives of agencies and industries who play a role in Marin's wildfire readiness. FIRESafe MARIN, County of Marin, Firewise USA, Marin County Fire Chiefs Association. To view and share the event flyer, please click here. 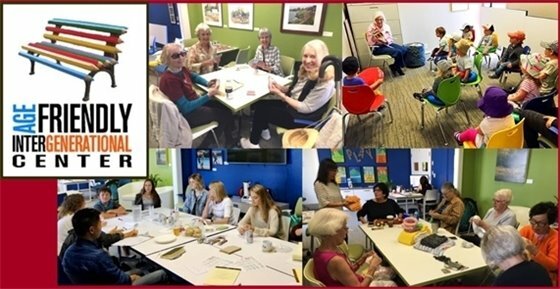 The Intergenerational Center is a gathering place for seniors, children and young adults, featuring programs in art, games, yoga, literature, technology and more. AFIC offers events and activities for all ages -- preschool to 100+. Intergenerational Center programs are FREE for members. 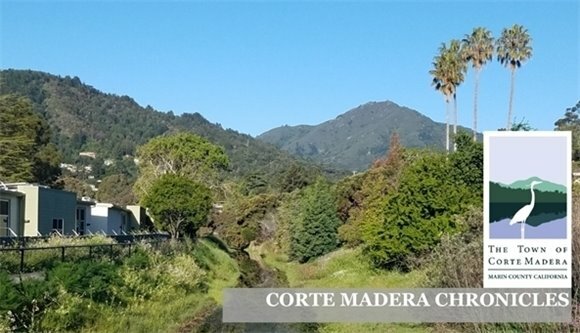 Membership cost for Corte Madera residents is $25 and for non-residents it is $40 for all of 2019. The cost is a tax-deductible donation to Age-Friendly Solutions, a 501(c)(3) nonprofit organization. Please contact Pam at The Center at 415-991-4040 or via email at pwaterstone@tcmmail.org for more information. Remember that you can subscribe to receive notifications on everything happening in Town. Whether it's meeting agendas or community events, we want you to stay informed. Please visit the Notify Me page and select the topics that interest you! Copyright 2018 Town of Corte Madera. All Rights Reserved.